Attend a Cimmerian Tales writing retreat! Submit 3 short stories to pro markets (quarterly)! Finalize anthology for August release! Challenge yourself to use better turns of phrase! Start campaign on Tumblr to raise funds for libraries! Read a book a month for research, writing inspiration, and craft! Experiment with more subgenres like horror, contemporary, or mystery! Meet all my fellow CTers for a writing retreat. Learn some HTML so Anne doesn’t have to fix my posts all the time. Write a poem I am proud of. Start all my stories sooner than 24hrs before they are due. Read my new collection of tales by H.P. Lovecraft. Post images with my No Rules Friday Posts. Computerize our CT Logo (which is awesome BTW). Challenge myself to provide constructive criticism and feedback when critiquing. Improve depth of my characters and write a hero/heroine worth rooting for. Conquer my pacing issues! No more slow starts and rushed endings. Hey guys, we are coming to the end of the very first day of 2014 and let me just say that I think this year is off to a good start. I know that I would not be where I am today as a writer or a person without the wordsmiths who have inspired, frustrated, and kept my lungs and heart pumping with words and worlds: the creators of the books and lyrics and prose that swallowed me whole in a simple turn of phrase. I thank them forever and ever. And I am lucky enough to call three of them my friends here at Cimmerian. I absolutely love the three of you, and I can’t wait to see what the future brings. I promise I’ll stop showing up late to everything and I’ll bring more gummi bears. I would also extend the highest of fives and hugs to every single person who stopped by Cimmerian to check out our words and hang out, no matter how long you stayed. 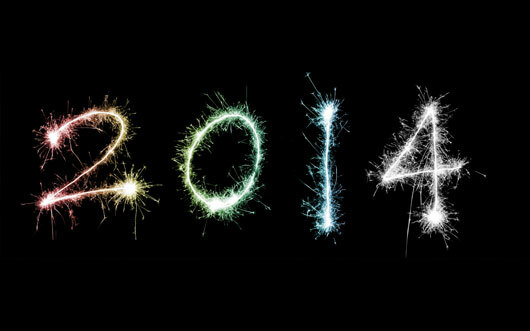 The worlds we have created throughout 2013 make me hopeful for the year to come. I like this little shadowy haven we have created, and I hope y’all come back to see what we are up to in the next 12 months. Let’s make it count. I’d like to take a moment and thank all of our followers on WordPress, Twitter, Tumblr, and Facebook; everyone who’s liked a story; everyone who’s shared a story; and everyone who’s left a comment. You’re our fireflies in the darkness. Thank you to those of you who started following us in 2012 for sticking with us. Thank you to those of you who joined us in the last six months for giving us a chance. I hope you’ve enjoyed our dark little tales because I’ve enjoyed sharing them with you. If you like what we’re doing, please leave us comments and tell your friends. If you have an art piece you’d like to see turned into prose, please send us an email! Last, but certainly not least, thank you to my fellow cohorts: JeTi, AuGo, and JuSt; for being patient, delighting me with your stories, and letting me be my authentic-Aquarian self. The past six months have been a wild ride of creative energy that I’ve never experienced before. I cannot wait to read Cimmerian Tales in 2014.